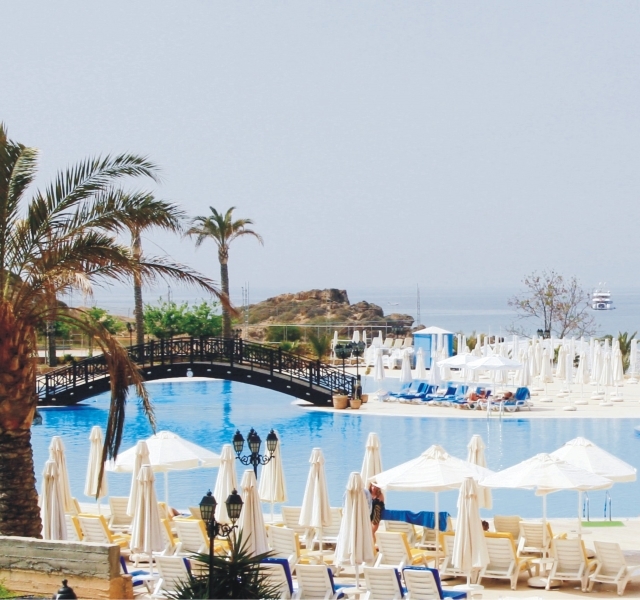 The Acapulco Resort Convention and Spa Hotel is located on the crystal clear waters of Kyrenia, the largest private beach resort in Northern Cyprus stretching out over 50 acres of lush gardens. 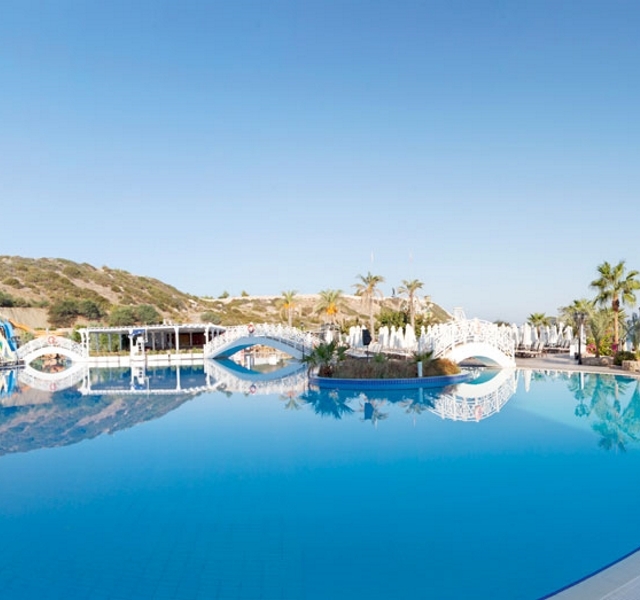 The spacious resort has 3 gorgeous outdoor pools and 2 pools for children, an amazing aqua park featuring 5 different slides and a pool side bar and restaurant. 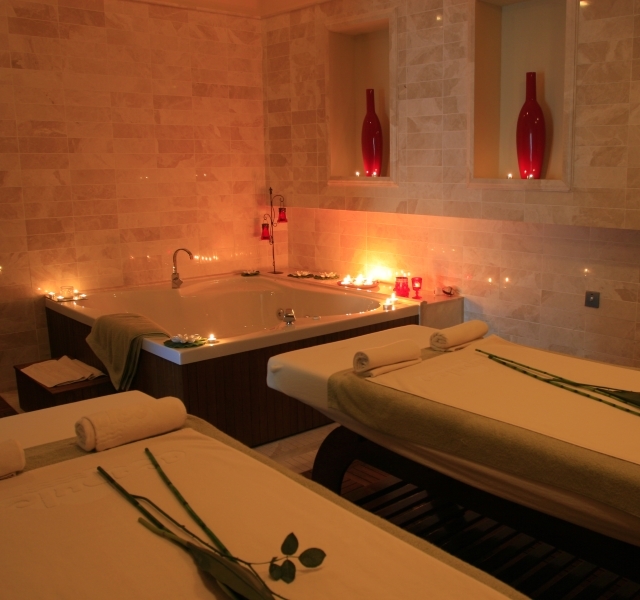 The hotel is known for its fantastic spa facility, featuring an indoor pool with hot & cold Jacuzzi’s and sensational sauna and steam rooms, designed for your luxury and ultimate relaxation. 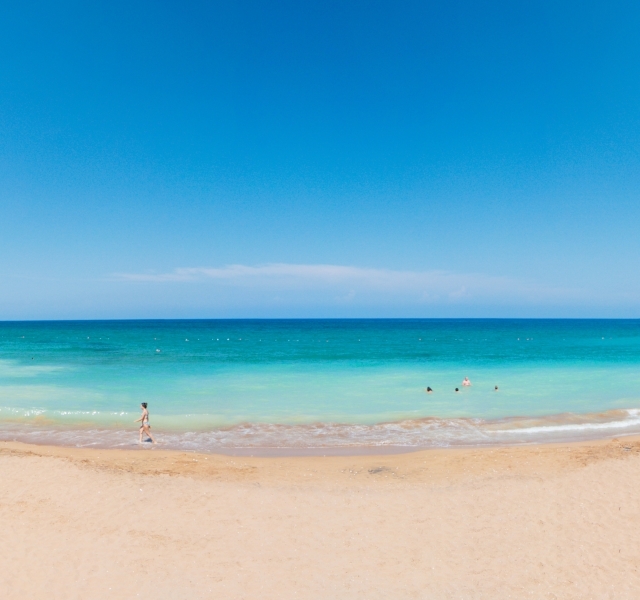 Just 15 minutes’ drive from the Acapulco Hotel is the well-known historical town of Kyrenia. Known for the small back street shops and bazaars, and the gorgeously quaint harbour, Kyrenia town has so much to offer, with bars and restaurants on every corner. At the Acapulco Resort Convention and Spa Hotel you have a choice of accommodation, bungalows and hotel rooms. This room type is great for families, especially if you are travelling with children. You have two bedrooms and a lounge area, making it very spacious. 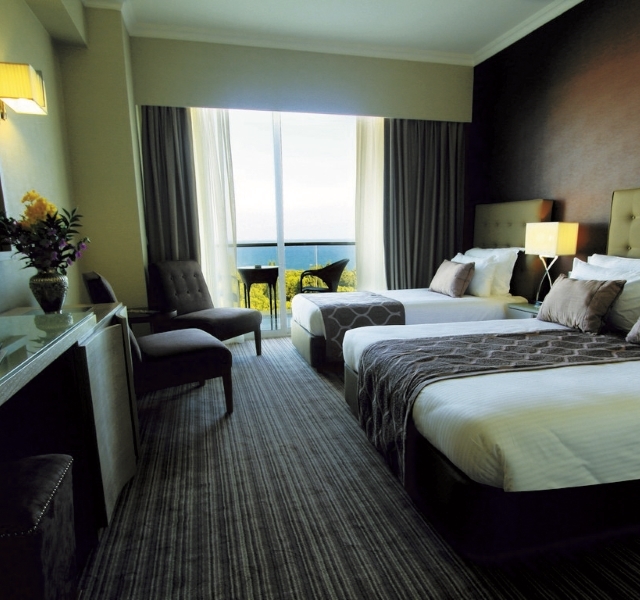 The hotel rooms are very modern, and split in to two areas, Main hotel rooms and Pine Court Hotel rooms. 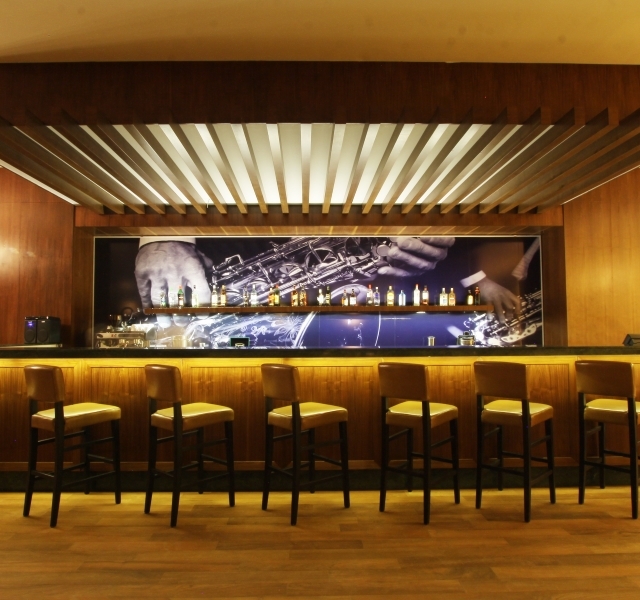 The Pine Court hotel rooms are the newer build, and also feature a lobby bar in the building. Interconnecting rooms are available for families upon request. Hotel rooms all have balconies, en suite bathroom with bath, shower and WC, satellite TV, direct dial telephone, air conditioning/heating, hairdryer, mini-bar, safety deposit box (payable locally) and wireless internet access (payable locally). Bungalows have the same facilities as above except that they do not have a balcony or outdoor seating area and they have a shower cubicle instead of a bath. They do not have internet access and the mini-bars are not stocked except on request. 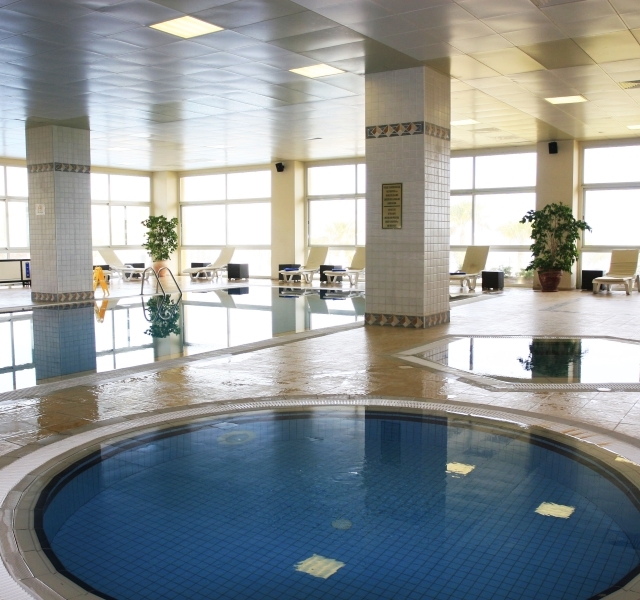 Within the resort there are plenty of activities to keep you busy, whether you enjoy water sports or water aerobics. The on-site Animation Team will provide you with entertainment all day long, with activities such as water polo, water aerobics, volleyball and many more. There is also a kids club available for the little ones. 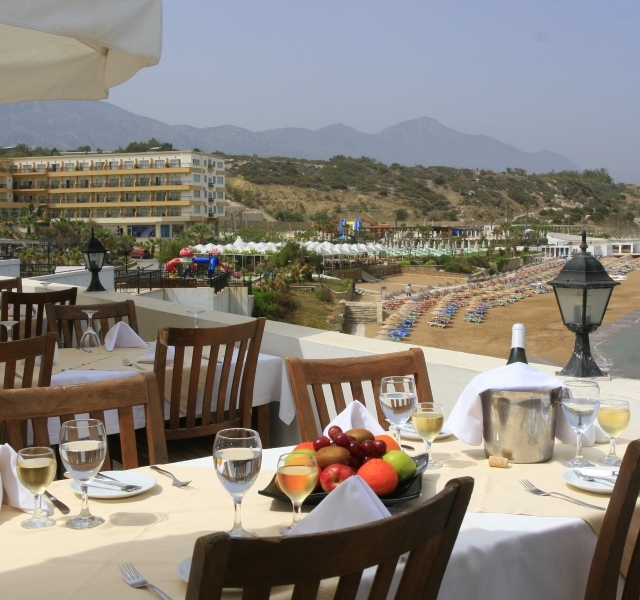 On site restaurants include a beach front restaurant, a pool side restaurant, and a buffet style restaurant. 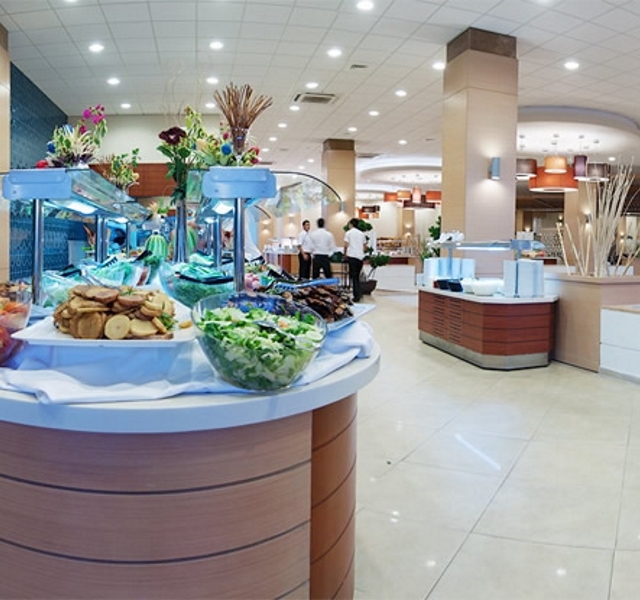 All restaurants are serve a-la-carte, with a choice of buffet as well. The pool & beach side restaurants serve cold drinks and ice cream’s all day. The Main restaurant is only open for breakfast & dinner. Out of the hotel and into the village of Catalkoy, a short 5 minute drive, there are many different restaurants and bars available.